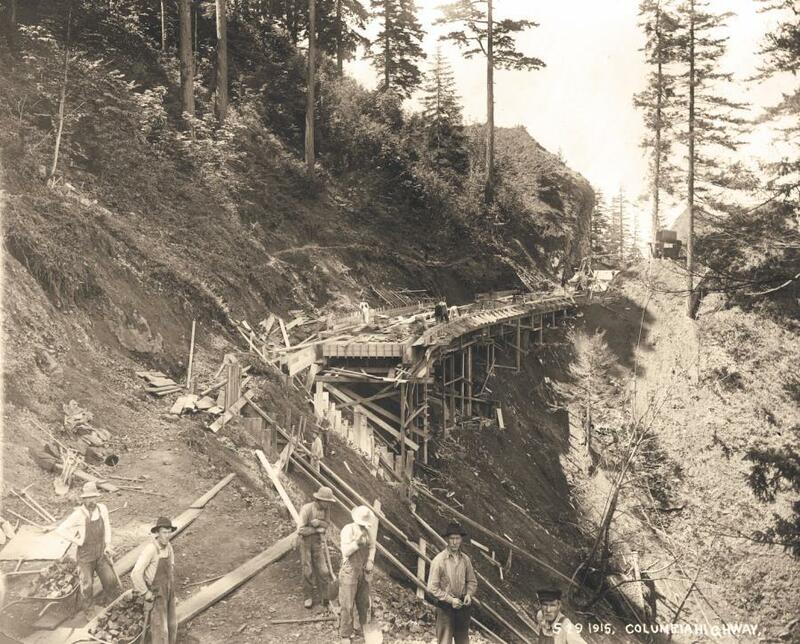 Efforts to complete a proposed 570-ft. tunnel and trail alternative as part of the Historic Columbia River Highway State Trail have some reflecting on the challenging task workers faced in completing Oregon's Historic Columbia River Highway 100 years ago. The tunnel — reminiscent of the iconic tunnel at Mitchell Point destroyed in 1966 — recently received critical endorsements from the Historic Columbia River Highway Advisory Committee and Oregon State Parks and Recreation Commission as the preferred design for crossing Mitchell Point. But today engineers and contractors have modern technology at their fingertips. 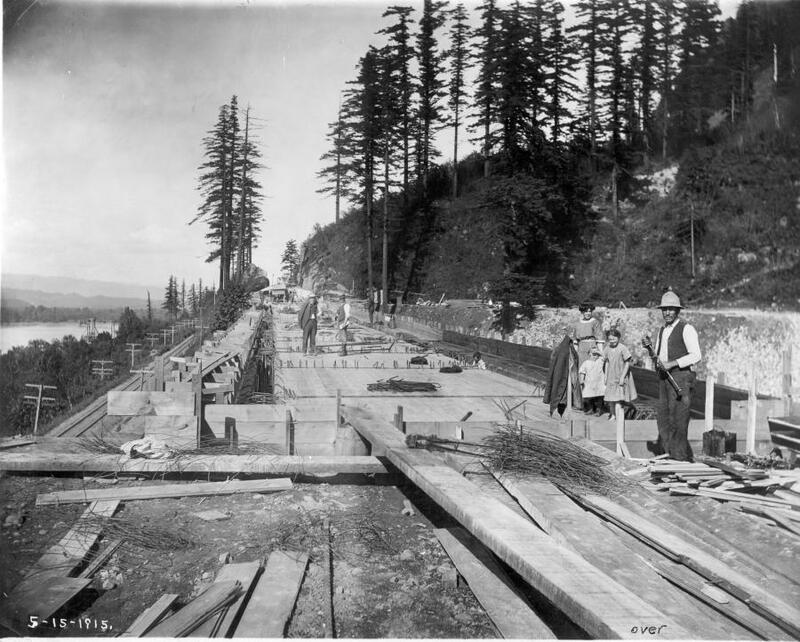 Back when the original highway was built between 1913 and 1922, tools were rudimentary and highway building standards non-existent. 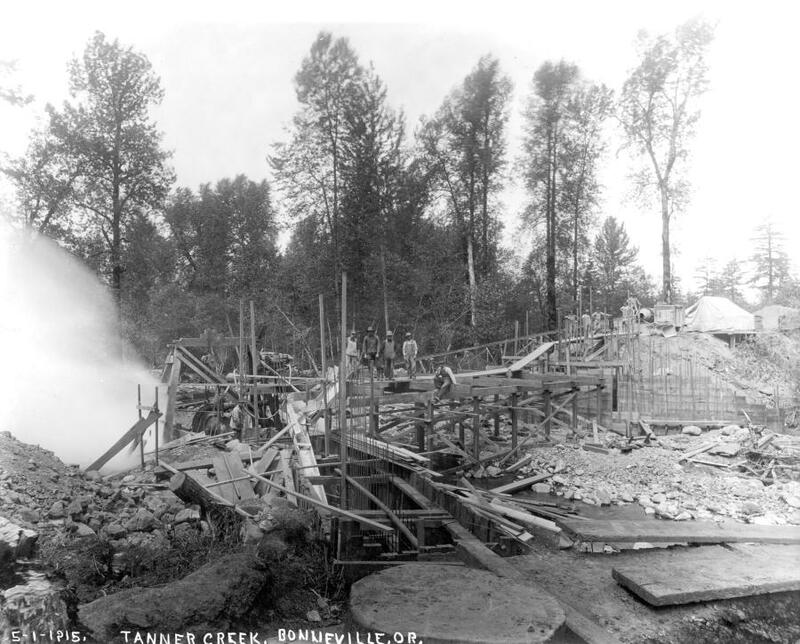 The project might never have happened if not for the vision of Sam Hill, a wealthy attorney and son-in-law of Great Northern Railway President James Hill, and Samuel Lancaster, an entrepreneur and “good roads” proponent. Hill and Lancaster met and became lifelong friends at the Washington State Good Roads Association (WSGRA) meeting in Yakima in 1906. Hill soon invited Lancaster to create demonstration roads on his 6,000-acre ranch in Maryhill, Wash., and together the two began working to persuade Washington and Oregon legislatures of the importance of good roads. Hill spent more than $100,000 out of his own pocket to pay Lancaster to build 7.5 mi. of model asphaltic macadam roads, Hadlow said. Construction materials were brought in by ship or train, and batch plants were built on site. 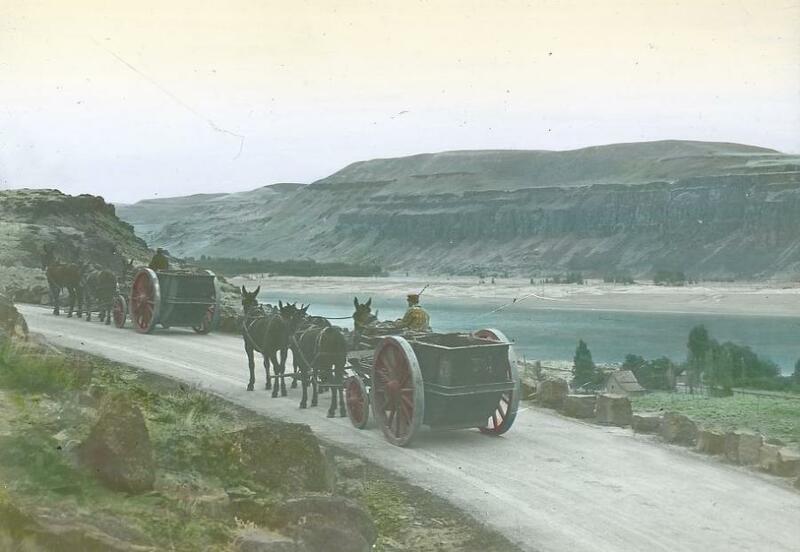 In 1915, parts of the Columbia River Highway were paved with Warrenite, a patented bituminous mixture developed by the Warren Construction Company. The 2-in. layer of course-graded tar and aggregate mixture was laid while hot on crushed rock over the original macadam road and sealed with a flush coat of asphalt, Hadlow said. One of the greatest challenges in laying out the highway in Hood River County was Mitchell Point, a large basalt headland about 60 mi. east of Portland. 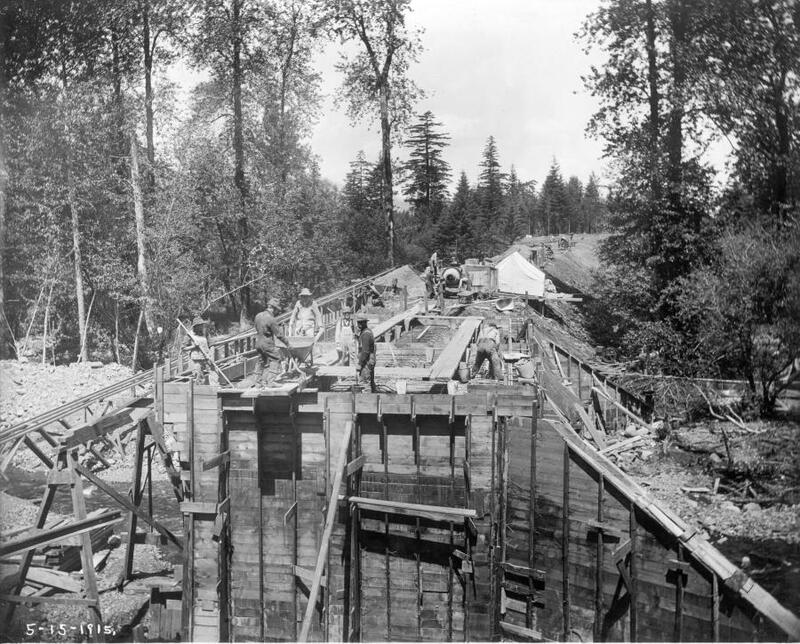 Engineers knew they needed to keep the grade at less than 5 percent and eventually routed the highway by cutting into a cliff, building a viaduct and tunneling through the lower slopes. The 390-ft. Mitchell Point Tunnel became known as “Tunnel of Many Vistas” for its five windows. The tunnel was destroyed in 1966 to allow for the widening of the river level I-84. Now, it seems a new tunnel could again be part of the Historic Highway State Trail. As proposed, the 570-ft. tunnel and trail alternative balances open-air experiences and views with the appeal of a tunnel that nods to the past. Adequate light within the tunnel and protection from potential falling rocks remain top challenges for engineers, Hamilton said. Design work for the Mitchell Point Crossing will continue through 2019 and includes acquiring a Columbia River Gorge National Scenic Area permit. “The tunnel plans currently include one arched window. The design consultant will explore adding more windows to the tunnel, further mirroring the historic 1915 tunnel with its five arched windows. “The original highway was designed to connect people with a tremendous landscape, and new trail segments restore that connection and bring the beauty of the Gorge to more people while relieving congestion,” says Lisa Sumption, director of the Oregon Parks and Recreation Department. 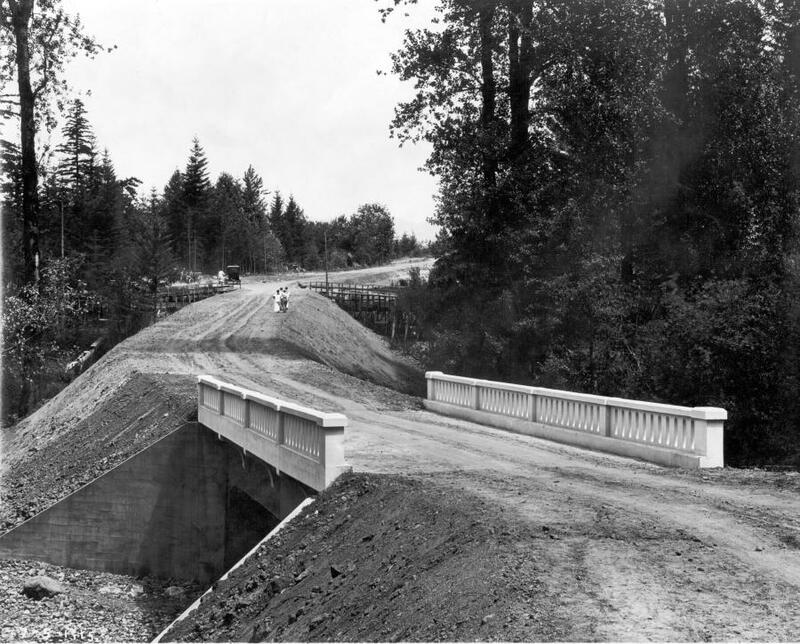 The crossing will connect to western segments of the Historic Highway State Trail and east to Hood River and The Dalles. “Selecting a preferred design alternative for the Mitchell Point Crossing marks a major milestone in reconnecting the Historic Highway,” Hamilton said. 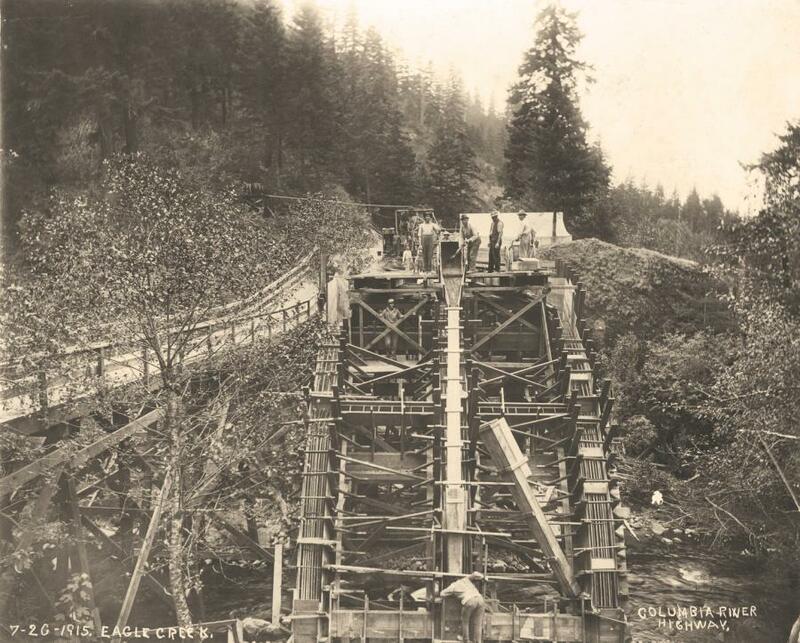 “Once construction is complete, only a five-mile gap between Viento State Park and Ruthton Park remains to complete the reconnection of the Historic Columbia River Highway as the State Trail.